Syed Abid Ali pronunciation (born 9 September 1941) is a former all-rounder Indian cricketer. He was a lower order batsman and a medium pace bowler. Abid Ali attended the St. George's Grammar School and All Saints High School in Hyderabad. In 1956, he was picked to play for Hyderabad Schools by the selectors, who were impressed by his fielding. He scored 82 against Kerala and won the best fielder's prize. A few years later when State Bank of Hyderabad formed a cricket team, he was given a job there. He started off as a wicket keeper before becoming a bowler. 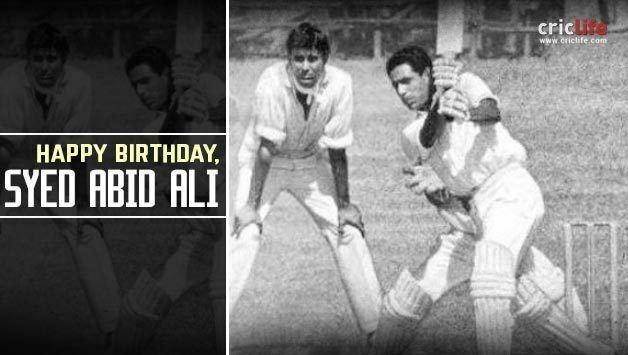 Abid made it to the Hyderabad junior side in 1958–59 and the state Ranji Trophy team in the next year.He hardly bowled in the first few years and did not score his first Ranji hundred till 1967. He was unexpectedly picked for the team to tour Australia and New Zealand that year. He made it to the team for the first Test against Australia possibly in the place of the captain M. A. K. Pataudi who dropped out injured. Abid scored 33 in both innings and took 6 wickets for 55, the best by Indian on debut at this point. Sent in to open the batting in the third Test, he hit 47. This was followed by innings of 81 and 78 in the final Test. 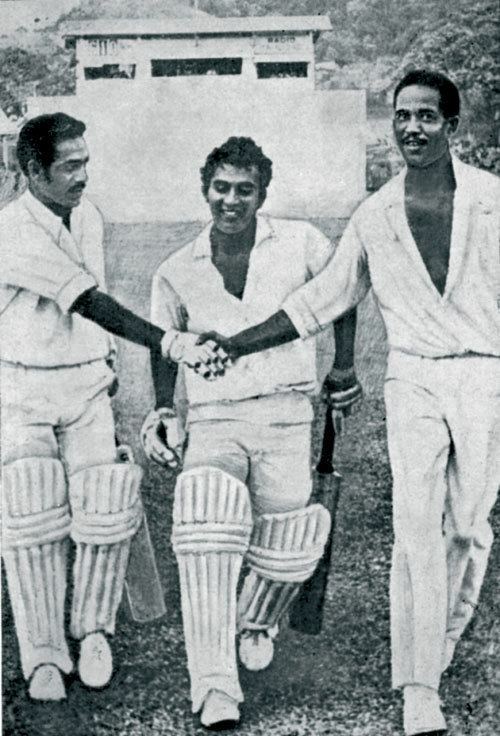 Abid was the non-striker when Sunil Gavaskar scored the winning runs against the West Indies in the Port of Spain Test of 1971. When West Indies tried to chase a difficult target in the final Test of the series, Abid bowled Rohan Kanhai and Garry Sobers in consecutive balls. A few months later, he hit the winning boundary when India defeated England by four wickets at the Oval. In the Manchester Test of the same series, he took the first four wickets for 19 runs before lunch on the first day to reduce England to 4 for 41. He played nine more Test matches, and scored 70 runs against New Zealand in the 1975 World Cup. He continued to play first class cricket for four more years. Abid Ali scored more than 2000 runs and took over hundred wickets for Hyderabad in the Ranji Trophy. His highest individual score was 173 not out against Kerala in 1968-69 and his best bowling was 6 for 23 against Surrey at the Oval in 1974. 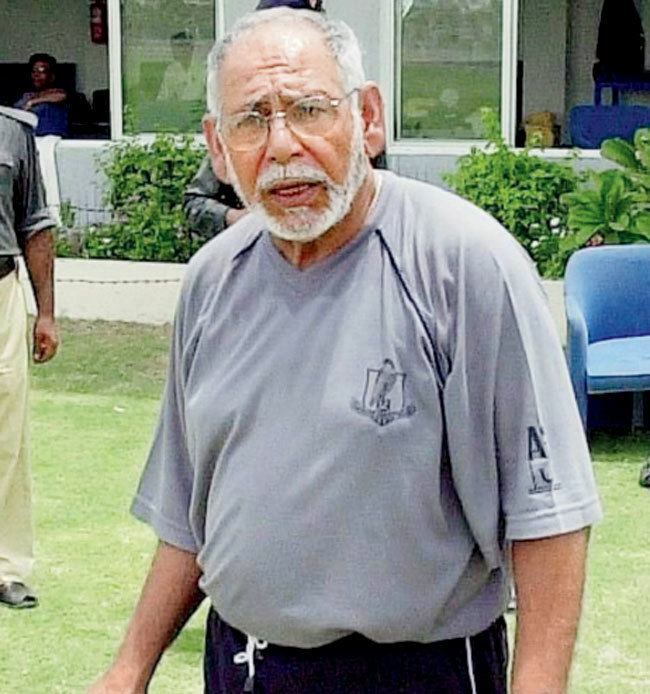 Abid coached the junior team of Hyderabad for a few years, before moving to California in 1980. He coached Maldives in late 1990s and UAE between 2002 and 2005. Before coaching UAE, he trained the Andhra team that won the South Zone league in Ranji Trophy in 2001-02. He currently continues to reside in California, where he now coaches promising youngsters at the Stanford Cricket Academy. Obituaries for Abid appeared in the media in the early 1990s; in fact he had survived heart bypass surgery. He had two children, a daughter and a son.